The Nokia X6 is Nokia’s highly anticipated touchscreen music smartphone, offering a complete range of features, brand new interface and an unlimited music download subscription by way of Nokia’s “Comes With Music”. The unlimited music service isn’t too good to be true; when someone buys the phone they receive a free one year subscription to the service where they can download tracks to the phone or store them on a PC, keeping all downloaded songs after the subscription ends. The phone enters a smartphone market dominated by manufacturers including HTC and Apple and is one of the first Nokia devices aimed at bringing music, social networking and touchscreen technology together. The X6 looks like many other Nokia devices, measuring 13.8mm in thickness and features a capacitive 3.2 inch touchscreen offering 16:9 widescreen viewing and 16 million colours. 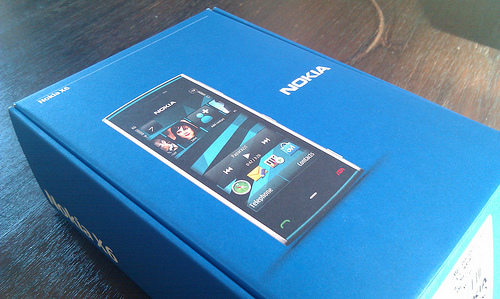 Billed as a music phone, the Nokia X6 comes in 16GB or 32Gb varieties and a built in FM radio, making it a tempting entertainment device. The X6 delivers music from both it’s stereo speakers or built-in 3.5mm headphone jack, playing nearly all the codecs you can throw at it. Looking at the specifications, it supports MP3, AAC+, eAAC+ and WMA formats, allowing it’s owners to transfer their PC music collections to the device if the “Comes With Music” service wasn’t delivering. The camera isn’t lacking either, Nokia have managed to pack in a 5MP Carl Zeiss, flash enabled camera giving it a considerable advantage over phones like the Apple iPhone. The X6 can also handle video, recording at 30 frames per second. With nearly all newer smartphones offering GPS, the X6 delivers both global positioning and a compass. X6 owners can take advantage of either Ovi Maps or Google Maps and enjoy turn-by-turn navigation. 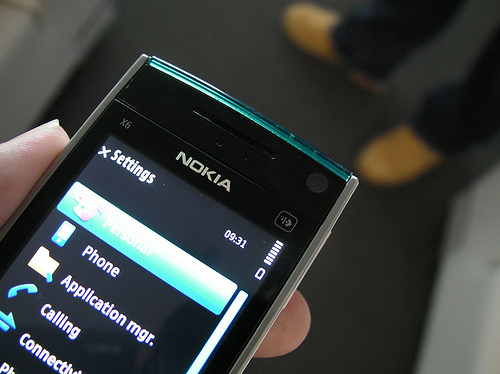 The Nokia X6 is completely connected, supporting 3G and WIFI connections. It supports Yahoo! Mail, GMail, Windows Live Hotmail and external email accounts via IMAP and POP3. Users are able to download thousands of third party apps via the Ovi Store, increasing the functionality of the phone. The Nokia X6 is easy to grip and quite small in the hand. It’s hard edges and lack of soft corners make it somewhat uncomfortable after prolonged use. It fits nicely to your face and voices were very clear when making a call. Our callers didn’t notice any interference and the quality was very crisp. The music player is easy to use, we were able to transfer some of my music onto the device via the PC Suite software bundled with the phone and play it without a problem. Nokia has included a decent little application called Playlist DJ displays four sliders, representing happiness, love, anger and tranquillity. The user can then slide the controls to generate playlists that match certain moods. The touchscreen is responsive albeit a little confusing, the phone doesn’t indicate to the user when to single or double tap. It’s incredibly bright and detailed, it should be considering it has a 640 x 360 display, a resolution that surpasses the Apple iPhone. Apple iPhone or HTC Android users will find the X6’s keyboard has a steep learning curve, it’s software keys mimic the same functionality as older external Nokia keyboards, requiring the users to continuously tap a number to select the correct letter. Gestures are laggy, scrolls laboured and there are no extra functions like pinch-to-zoom. The camera on the X6 is high quality, snapping shots and presenting them almost instantly. Photos are good quality but colours are a little saturated. The two flash LED’s are bright and help illuminate environments, even if they can be a little harsh, allowing you to take pictures in the dark when you otherwise wouldn’t have been able to. The device allows you to connect to the Ovi Store and download third party apps. The store is lacking, compared to it’s iPhone and Android counterparts, but it does offer high quality apps like Skype, Ovi Maps and Facebook. Battery life is very good, we managed around 45 hours on a full charge with limited use. The X6 boasts 5 hours of continuous talktime and no less than 35 hours of music playback. The call quality is very crisp and clear, it’s a good phone to make calls from. The “Comes With Music” subscription is fantastic for music lovers, 16GB or 32GB is enough storage for a huge amount of tracks. The X6 has a great camera compared to other smartphones, stands apart from cameras on the Apple iPhone and HTC Hero. A longer than average battery life. Although it’s Nokia’s best touchscreen device; gestures are laboured, scrolling is laggy and the keyboard is frustrating to use. The X6 isn’t too visually appealing. The default home screen is too cluttered, doesn’t feel that intuitive. 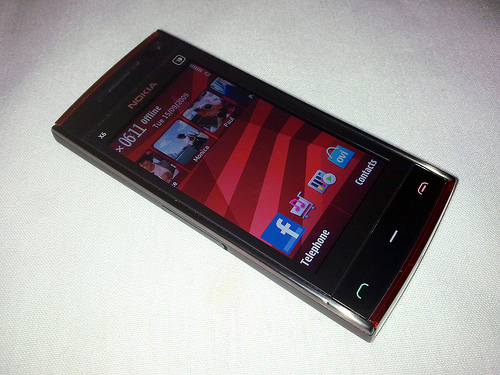 Symbian operating system falls short of Android and the iPhone. 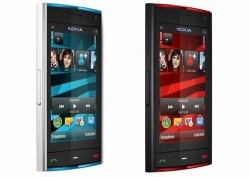 The Nokia X6 is a good phone; it has incredible call quality and can function as a satellite navigation device, point and click camera and MP3 player. The battery will last longer than other smartphones but we feel that might be down to the fact it doesn’t offer as much in the way of functionality when compared to the Apple’s iPhone and the range of HTC devices. It’s a device for those passionate about music, the huge storage and unlimited music download service would appeal to consumers who want to download a huge amount of music tracks. We don’t feel it has any superior features that differentiate it any other smartphone and ultimately has come a little late to the smartphone party.